Rare Encounter with a 10lb River Monster! 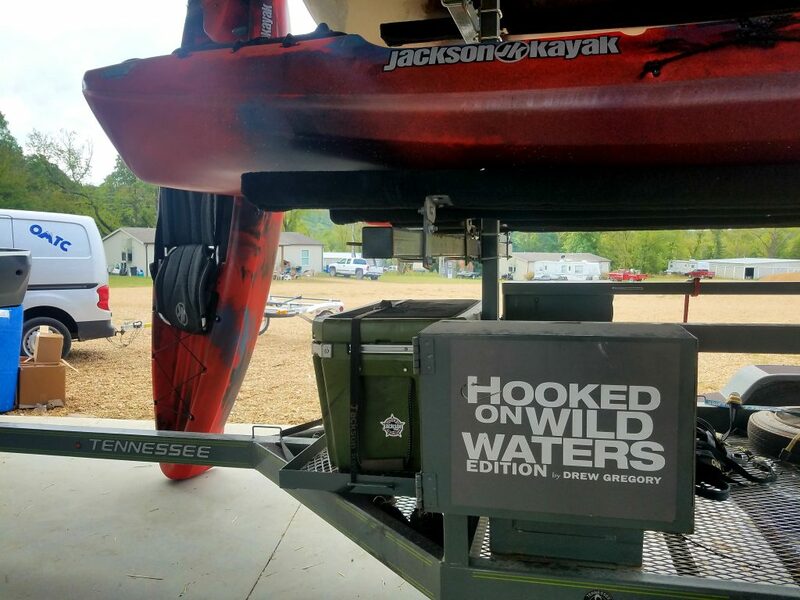 Life has been a whirlwind since getting back from Waynesville, MO, where I was able to put on one of the most enjoyable tournaments I’ve ever run – the 2018 River Bassin’ Championship presented by Jackson Kayak – and film an episode of Hooked on Wild Waters! 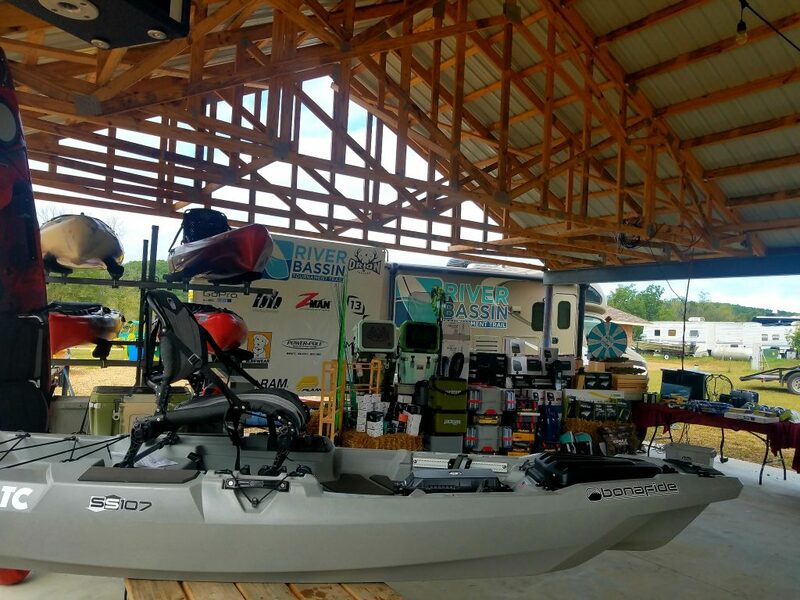 I wanted to write a quick recap of the tournament and my time on the water there so that all can hear about what a great time we had in Pulaski County! 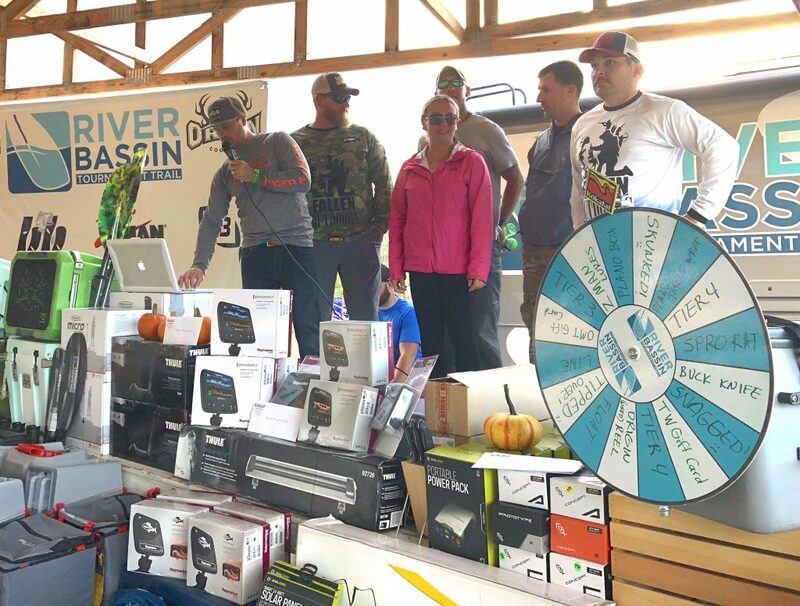 When I planned this event about a year ago, I searched high and low for an area that had an abundance of scenic rivers and creeks with great bass fishing, because not only did I want to put on this event in a place like this, but I selfishly wanted a great area to fish for the episode (this episode airs on Halloween btw!). 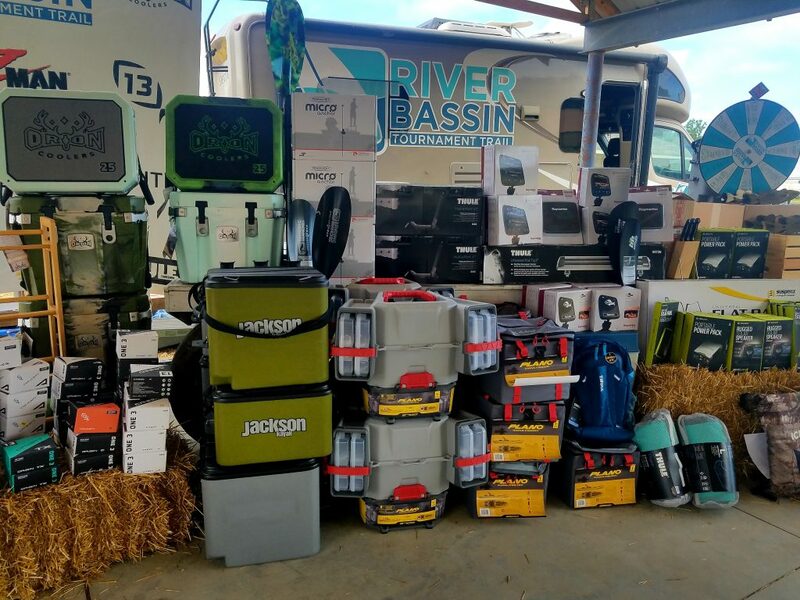 It also needed to have an area that would be great for our River Bassin’ awards show, and where anglers could camp or rent cabins. 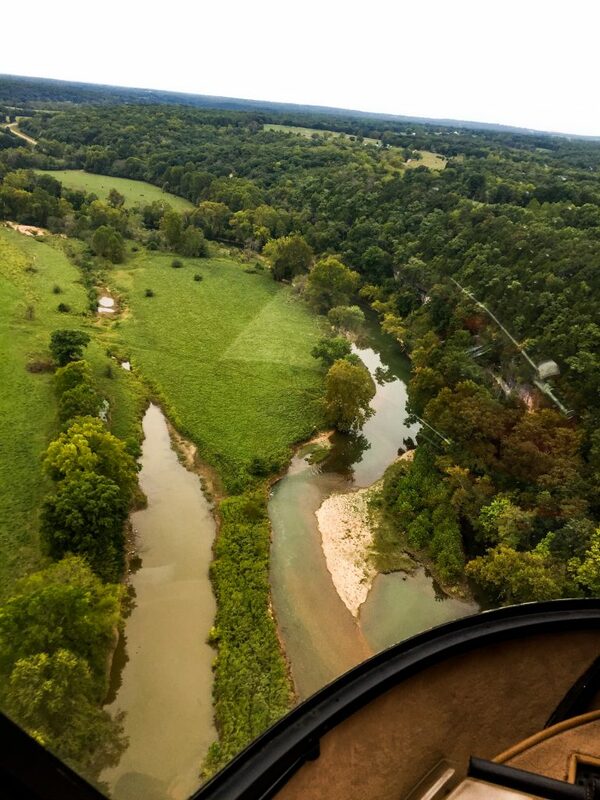 My search ended when I found Ruby’s Landing; right on the Gasconade River, it boasts cabins, tent and RV camping, and a great pavilion where we were able to meet. I was really impressed with everyone at Ruby’s Landing, and I even got a chance to take a ride in one of their three helicopters! It is somewhere I’ll definitely go back to. 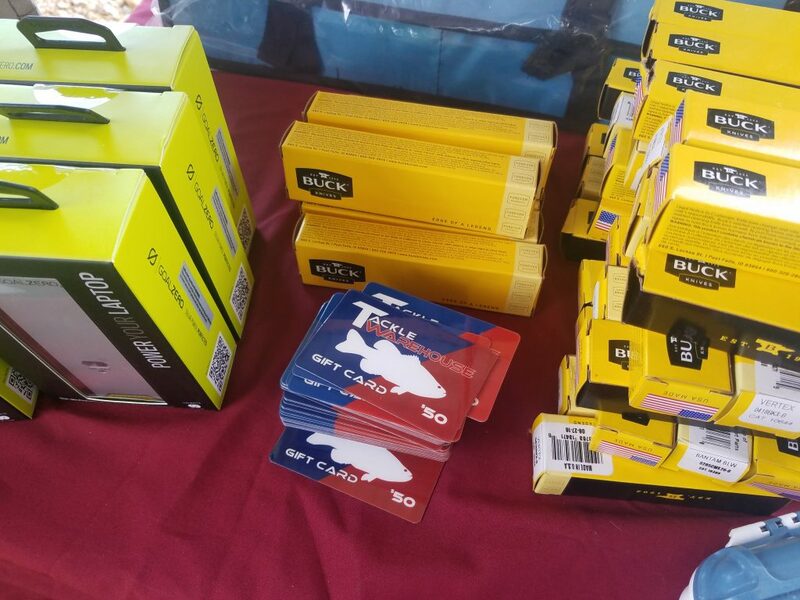 The fishing was great for my time on the rivers, and for the anglers in the tournament. 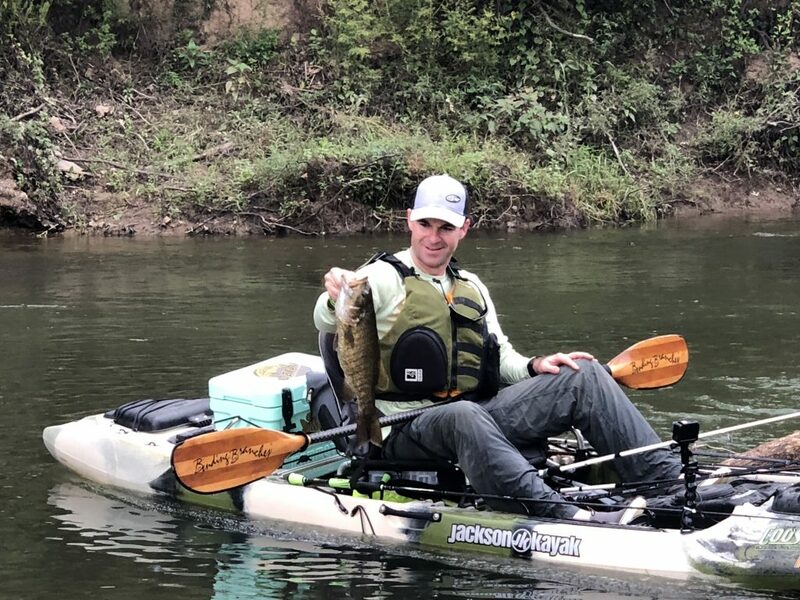 I fished the Gasconade River with my guest Scott Ellison, National Youth Director for FLW Fishing. 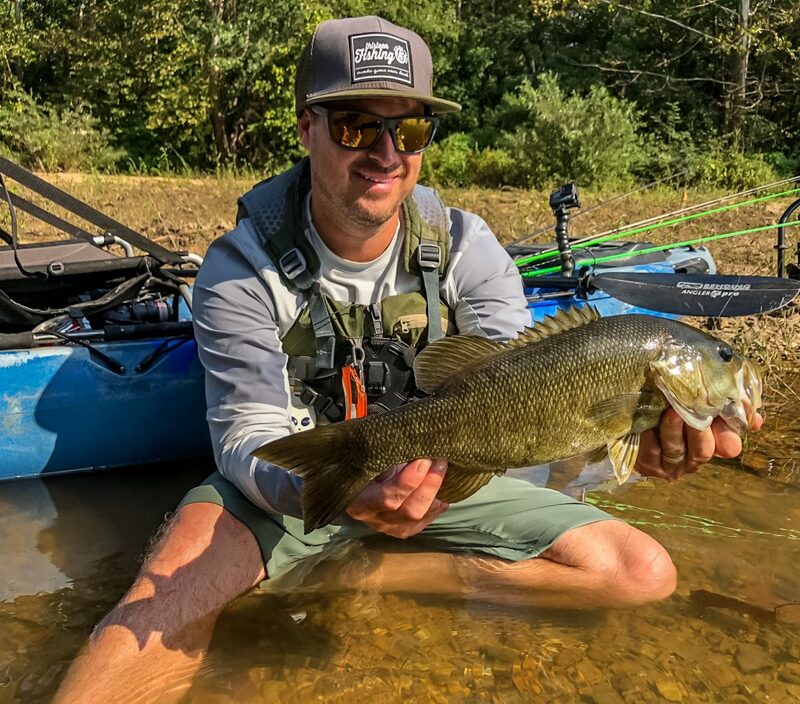 As you’ll see in the episode we had our challenges, but like any good river trip we were able to overcome obstacles to catch some really solid Ozark smallmouth bass! It really was one of the most beautiful rivers I’d ever fished. It was laced with light colored stone gravel bars, bluffs, crystal clear water and of course lots of hungry river bass! To learn more about our trip, you’ll just have to watch the episode! As far as this tournament, it was equally awesome! We had 73 anglers in the individual division, 26 (52 anglers) in the 2-man team division and 4 (20 anglers) in the 5-man Super Team division! 145 total entries on a beautiful day in Pulaski County. 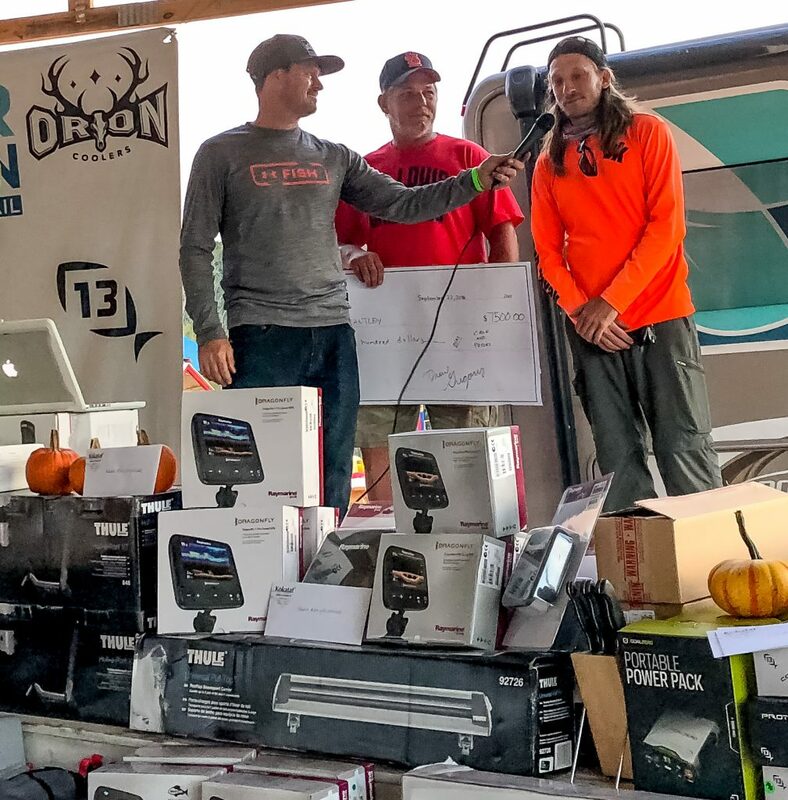 Eric Brantley took the overall title with 55.25 inches, while Clayton Haske managed 50.75 for second place, and rounding out the top 3 was Gina Ueke with 50.50 inches. For full results click here. 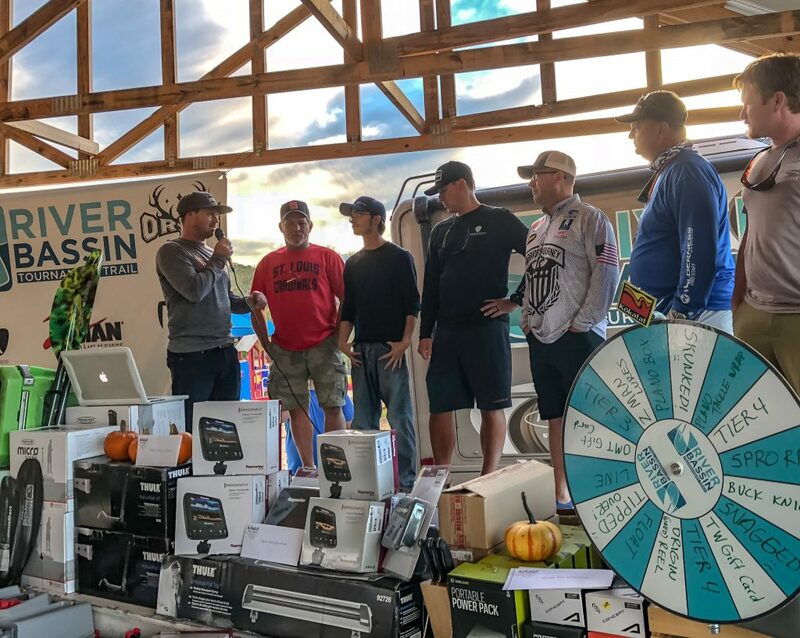 The team division saw team Fish On (Eric Brantley & Darian Beedle) take the title with 100.25 inches, followed by Brian Hillman and Troy Enke from The Furious Drum Snatchers (98), and rounding out the top 3 were Lance Coley and Tim Perkins, who we all know as team Riverchamps (97.25). The Super Team division was taken with 82 inches (5-fish) byThe Fallen Outdoors (Mike Unruh, Jeremy Mitchell, Aaron Simms, Gina Ueke, Travis Ueke) and Gine Ueke also took Top Lady honors! The youth in the Yak Attack Youth Division did well at this event, and their division was won by Jackson Stephens with a solid 46.75 inches. 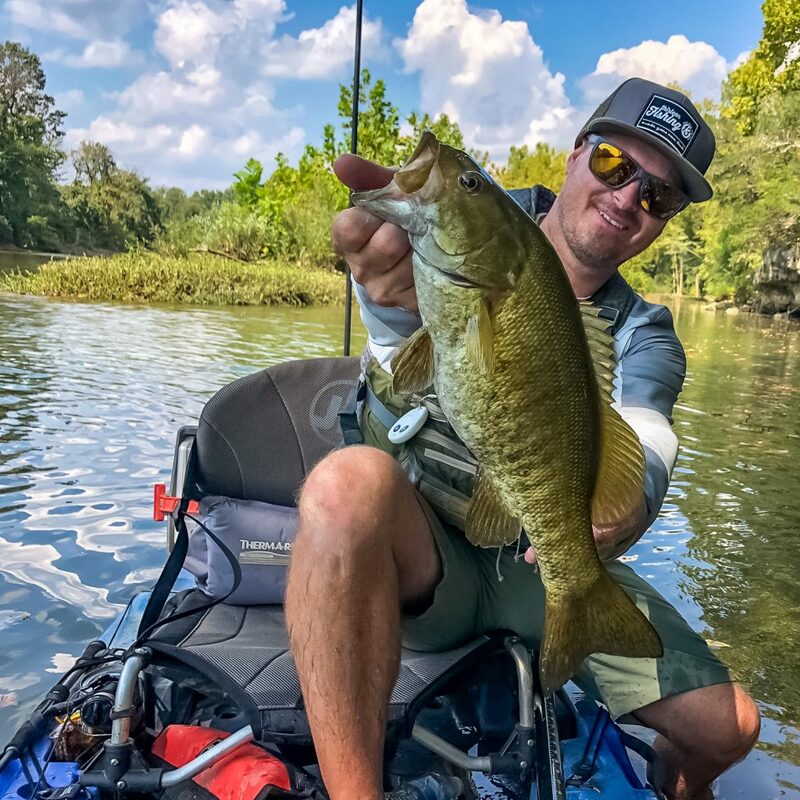 Top College Angler went to Sam Hallam, with 45 inches and our Bending Branches Big Bass was taken by our winner, Eric Brantley, with his 20-inch largemouth bass! 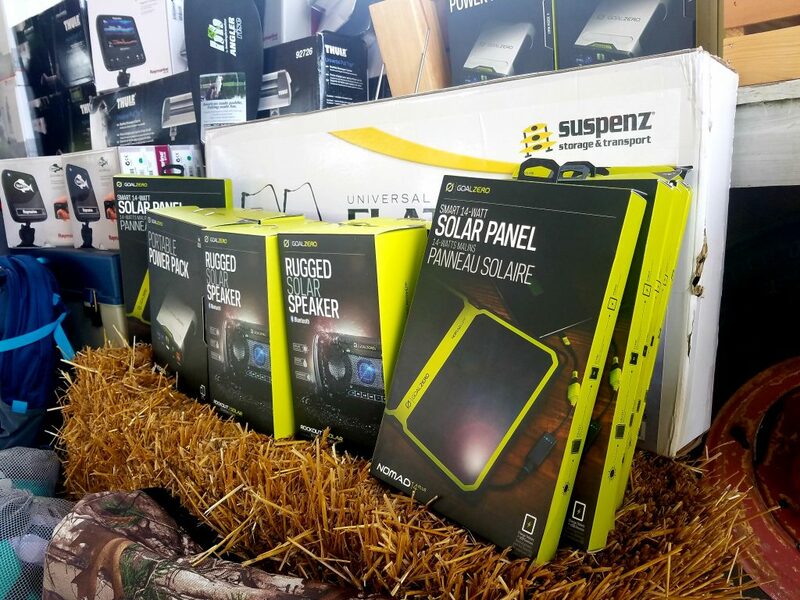 The results show was a blast with food, fellowship and tons of awesome prizes to be given away, including 3 kayaks that were raffled off for charity thanks to the Alpine Shop, Ozark Mountain Trading Company and Bonafide Kayaks. 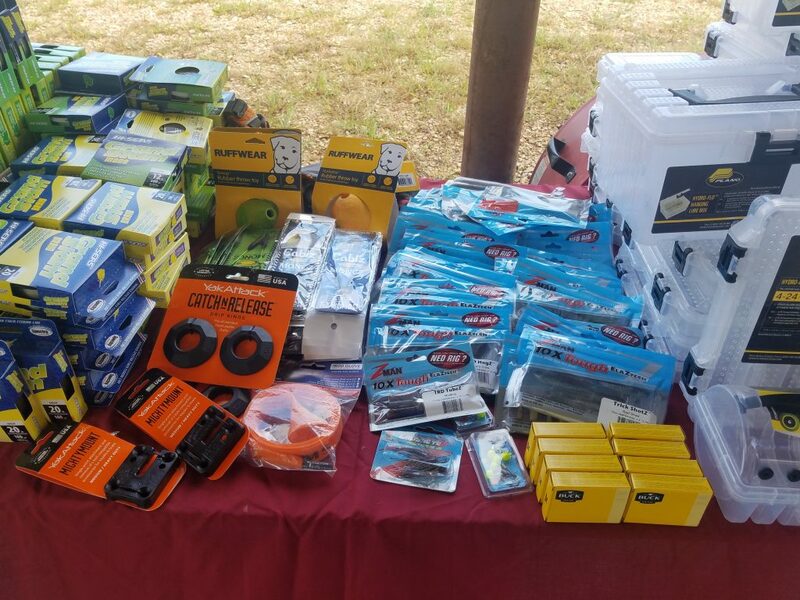 Over $2000 was raised for the three non-profits – Ozarks Smallmouth Alliance, Roubidoux Creek Fly Fishers and the local Kiwanis club. 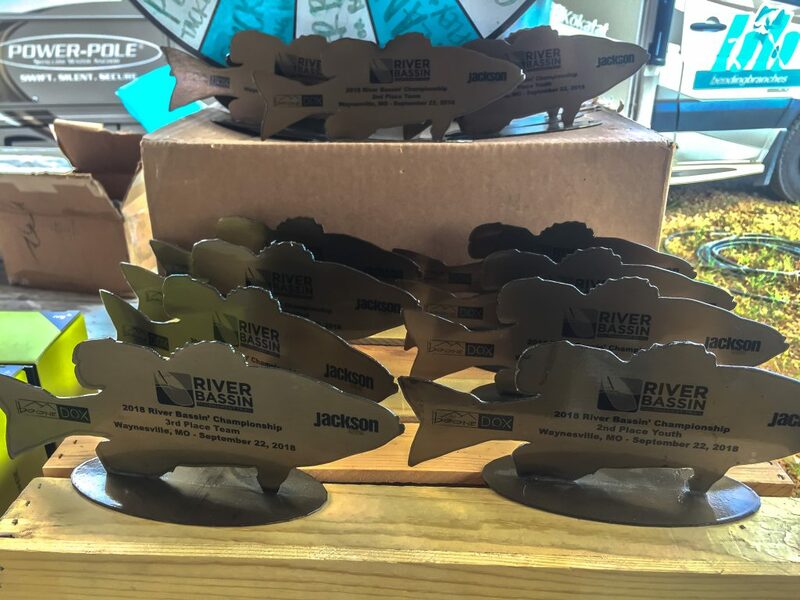 The River Basser of the Year and River Bassin Team of the year honors were also crowned at this final event. Eric Brantley took home the RBOY honors, with Clayton Haske taking 2nd and Lance Coley placing 3rd. 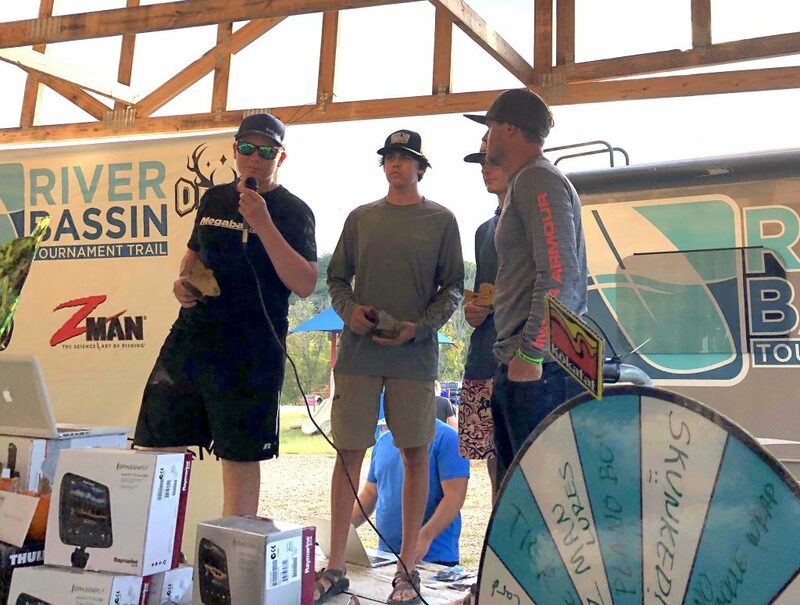 RBTOY went to team Riverchamps, followed by Top Water Drop Shotters (Clayton Haske & Ken Morris) and rounding out the top 3 was team Fish On. 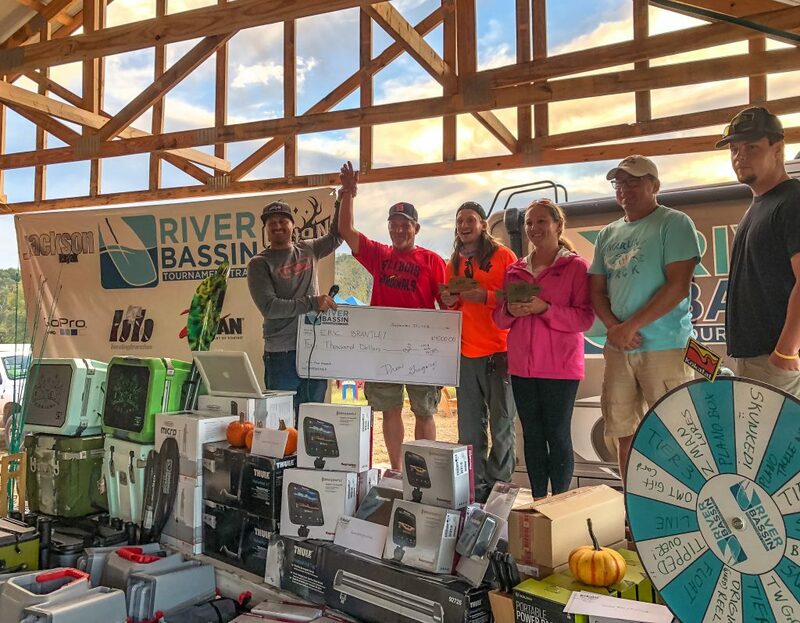 It was a finale event that ended up just how we like it at River Bassin’ – everyone walked away with an enjoyable day on the water and big smiles on their faces as they left Ruby’s Landing. Huge thanks to everyone who helped make this event so great. I will forget someone when I try to do this, but I’ll try anyway; huge THANKS to all those that helped me in some way over the weekend:Karen Hood & all the helpers with Pulaski County, Chris Ritchie, Ryan Walker, Ken Morris, Ruby’s Landing & all of their great staff, Del Click, Dustin Hoy and all the gang that helped us clean up and tear down, The Alpine Shop & Ozark Mountain Trading Company and Justin Hausner for being a volunteer tournament director all year! 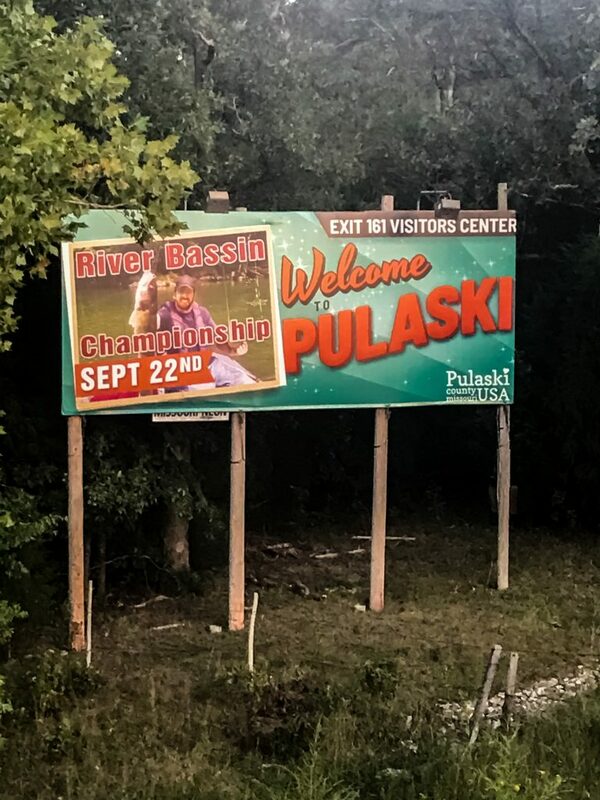 River Bassin’ isn’t over, it’s just changing hands at some point so please stay tuned to the River Bassin’ social media pages and look for an update in late 2018 or early 2019! Until next year!